Winter means rain in western Washington. Rain that sheets over impervious surfaces, collecting debris and toxins that can, in turn, be carried to urban stream systems degrading water quality and imperiling aquatic habitats. 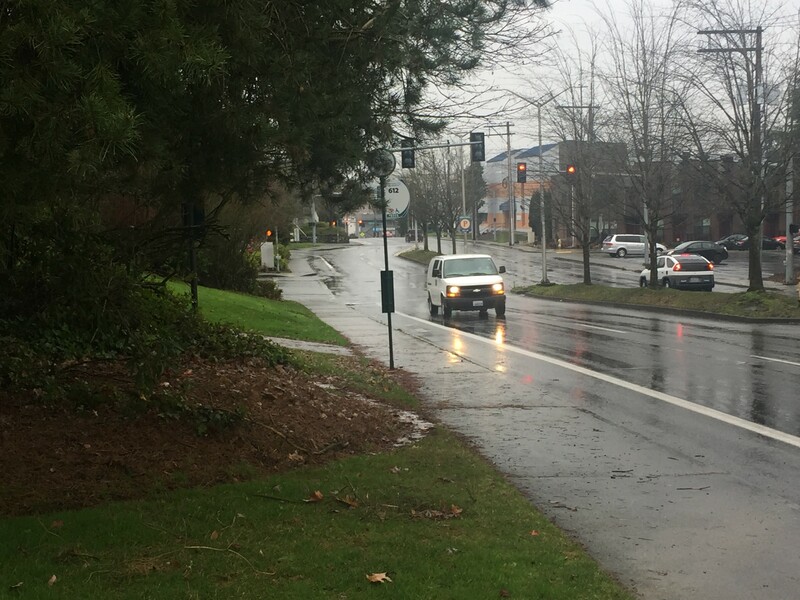 Stormwater runoff is the number one source of pollution in Washington’s waters. During this legislative session, Commissioner of Public Lands Hilary Franz is requesting financial support for aquatic habitat protections and improvements to be carried out by the Washington State Department of Natural Resources (DNR). The proposal includes a request that invests in urban forests to lessen stormwater runoff. A $2.1 million investment in urban forest canopies will decrease toxic stormwater runoff into salmon and orca habitat. Urban foresters know that trees act like umbrellas, intercepting rain, to slow and reduce runoff from streets and sidewalks. An average mature tree can intercept almost 600 gallons of rain a year. A summary of ecosystem benefits derived from an analysis of DNRs Urban and Community Forestry (UCF)-funded public tree inventories in 2016, reported that 46,888 public trees across 21 Washington communities intercepted an estimated 50 million gallons of stormwater; an equivalent of $514,448 in stormwater reduction savings. For more information about DNR’s request, which also includes investments to restore aquatic environments, funding for Puget SoundCorps crews, and help for small forest landowners to enhance habitat, visit here. If you are interested in adding tree canopy in your community to mitigate stormwater runoff, check out the 2019 Community Forestry Assistance Grant. More information about the grant can be found in this issue of Tree Link. The request for proposals can be accessed by navigating to Washington’s Electronic Business Solutions website.